CLASS ACT Pretty good résumé, that Willem Dafoe: T. S. Eliot, Pasolini, God, Vincent van Gogh . . . Supposedly there are 35 films about Vincent van Gogh. 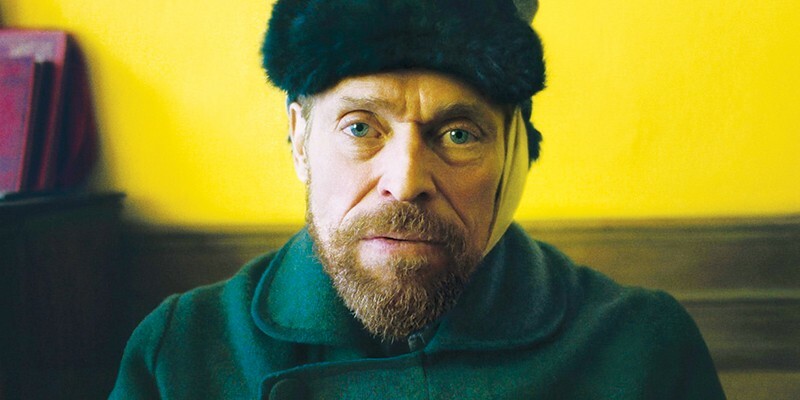 It's a tribute to the depth and clearness of Willem Dafoe's acting that the latest, At Eternity's Gate, is as affecting as it is. At Eternity's Gate is director Julian Schnabel's best film, giving a small-camera approach to the drama, shot amid the medieval ruins and hills of the South of France. These landscapes are given a little digital toasting to make this fairest place on earth (except for Northern California, of course) look like van Gogh's paintings, gilding the weeds, purpling the shadows and bringing out the bright orange stripes in the painter's straw hat to match the accents in his self-portrait. Dafoe is very pure here. The rawboned face hides nothing, showing lucidity even in the torment of his madness. This film doesn't poeticize the artist's insanity, as per the complaints comedian Hannah Gadsby made about the received idea that van Gogh painted because he was mad, instead of despite it. Schnabel even airs a conspiracy theory of how the artist died. True, he was persecuted. The great-grandparents of the people who charge you to see van Gogh's house signed a petition to get him out of Arles. But the vortex of the sadness is the abandonment by his friend Paul Gauguin (a calm, unflamboyant Oscar Isaac). Such an unfortunate friendship, between a man who needed love so desperately and a man who never really cared much about that kind of thing. Schnabel has the good taste to black out the self-mutilation, but in the end, he corners his subject clinically with a pair of interrogations, one by the doctor Felix Rey (Vladimir Consigny), the other by a priest (Mads Mikkelsen). As a longtime fan of Emmanuelle Seigner ever since Bitter Moon, I enjoyed watching her measured friendliness as Mme. Ginoux as she chats with van Gogh about books, before he scares her off with his intensity. The film could have used a bit less of Tatiana Lisovskaya's soundtrack—a lot of piano with the hard-pedal leaned on; it clashes with At Eternity's Gate's successful attempt to give van Gogh an aura of silence and space. 'At Eternity's Gate' opens Friday, Dec. 7, at the Smith Rafael Film Center.